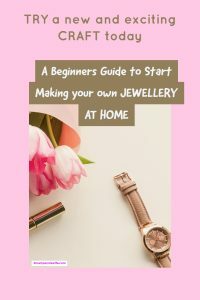 Your Beginners Basic guide to Jewelry making at home can be as simple as stringing some beads together. Or can be more complicated using metal clays to fashion your own jewelry pendants. If you have never tried Jewelry making then the simplest projects are using beaded jewelry. Beaded Jewelry making -It’s amazing what you can do with Beads, string, wire and some hard creative work! Beading using a stretchy cord or threads like nylon- stretchy cord is great for kids, basically threading beads over cord and closing with a knot. To take this up a step you need to learn how to string using nylon with metal findings this will give a more professional look to your jewelry. 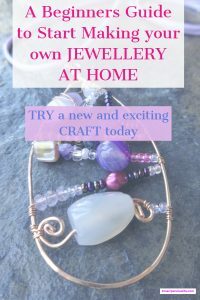 You can go onto using wire to wrap beads as well have a look below at some of the pendants I have created using wire wrapping. Macrame -If you were a child of the 70’s you will remember this! You can make jewelry using knots – that’s how most friendship bracelets are made. Bead Weaving -basically weaving beads either with or without a loom. Kumihimo – this is an ancient Japanese form of braiding using ribbon or cord. 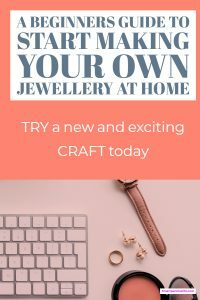 Crochet Jewelry making – if you are good at crochet you can also thread beads onto cotton or wire and crochet them into jewelry. 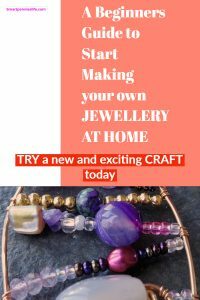 If you are just beginning and don’t want to have to buy lots of tools then Macrame Jewelry making is the first one try it’s amazing what you can do. Here is a great book to introduce you to the world of Knotting and Braiding Jewelry it has lots of great 5 star reviews as well. Once you get the hang of the basics of forming knots then you are onto a winner. This is my all-time favorite book on Knotted Jewelry and if you want something specific to Chinese knots this is such a fabulous book the projects are just gorgeous see for yourself click this link or the image. My favorite place to buy Beading supplies has to be Beadaholique the amount they have is just staggering they also do kits as well so if you wanted to get someone Crafty something as a present for Christmas or a Birthday then I highly recommend purchasing from Beadaholique. 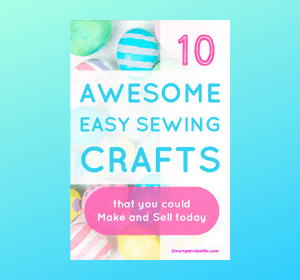 Here is a fabulous selection of Macrame kits – what about the one with the arrow that’s unusual. If you want to see what you get with the Arrow Macrame Bracelet then check it out here. 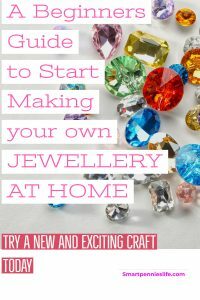 What do you need to make Jewelry at home? Again my go-to resource for Jewelry making kits for making Beaded Jewelry is Beadaholique have look at the different kits you could buy here. My personal favorite is this one here from Beadsmith – I bought this one as my first basic set of tools. What I would say is buy what you can afford you can always upgrade in the future. 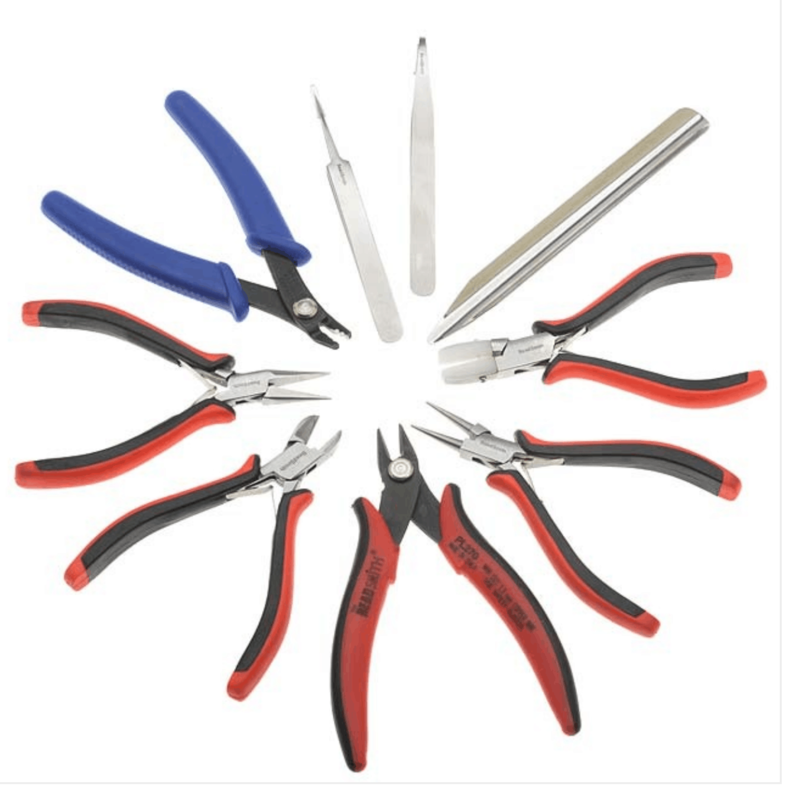 If you want to upgrade from the basic Tools then Lindstrom is the top quality tools to buy. I bought a set for my mother as she was really interested in Jewelry making as well. She doesn’t have such great grip due to arthritis so these tools are fantastic for her she loves these tools. Here is a selection of ones you can buy from Beadaholique. 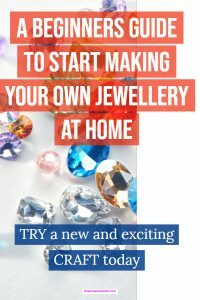 If you are just starting out go with Beadsmith unless you can afford Lindstrom – it won’t be wasted money that’s for sure! You can also buy them on Amazon but I would be really careful and try and buy them directly from a Jewelry making store as they are a lot of fakes around. What kind of Beads can I use to make Jewelry? If you are not wanting to spend a lot of money then one of the best places you can go is to the charity shops or garage sales and pick up second-hand cosmetic jewelry that you can repurpose the beads from. Make sure though that there are no cracks or chips or flaws on the beads and of course you need to like them! 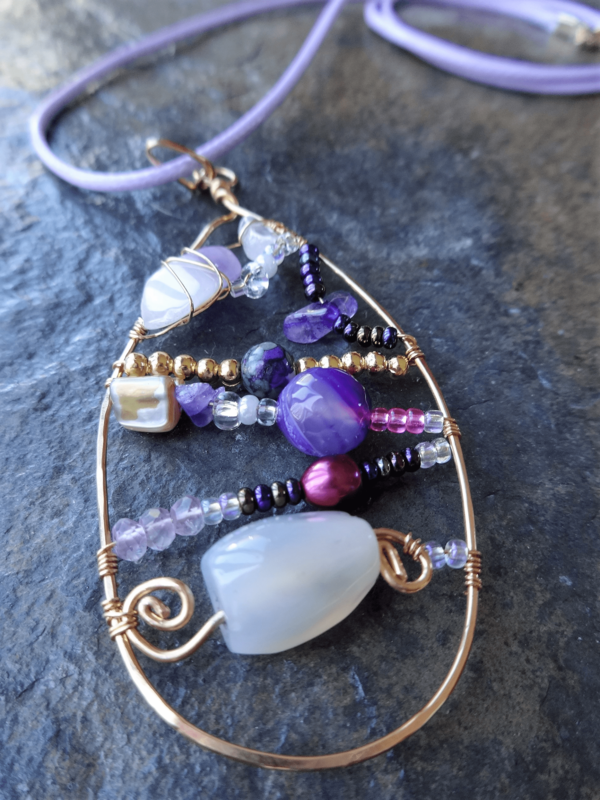 It’s amazing what you can pick up – even some semi-precious stones which you can wire wrap like I have done if you look at my picture below. What do you need to make Bead and wire jewelry? What are Findings in Jewellery making? Findings ( don’t ask me why they are called findings ) attach the string ( loose term for whatever you choose to string your beads with) and the clasps they help to finish your jewelry off and are usually made of metal. Ok, one of the first things I purchased I should have said this earlier was a massive tray – why? Because believe me you don’t want to drop beads especially seed beads which are the teeny tiny ones trying to find them off the floor or carpet is a huge pain the behind! 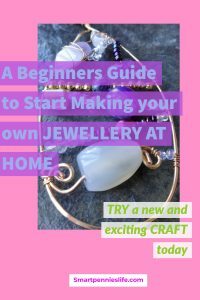 If you want to make your own Wire pendants – wrapping your own beads in wireframes then this is THE book to buy it has lots of projects from simple to intricate designs and I have tried a few of them. I made this one a few years ago looking back I can quite believe I made this! 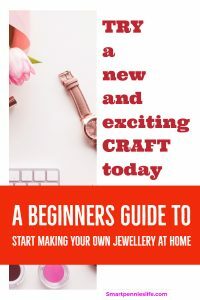 I wouldn’t recommend this one as a beginners Jewelry making project it is quite difficult if you have just started out. To start Bead weaving you need small seed beads and you will need to learn how to follow a chart for different patterns. Start off with a bead that you can actually see the best size is an 8 to 11. This selection from Amazon is a great start off with 18 colors with its own storage box. 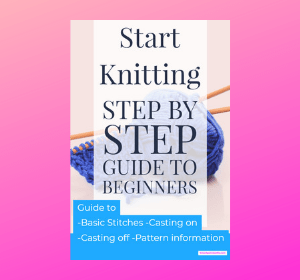 You can start off with lots of different types of stitches here is a quick intro into the stitches you can use. Once you get more experienced can create spirals and tube as well. 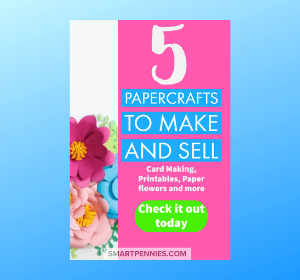 These are great Beginners making projects to try click here to find out more. Can you believe according to Shopify that the US Jewelry industry generates a whopping $70 billion! 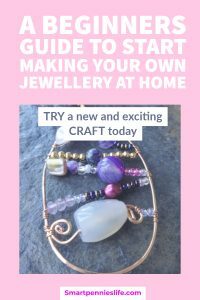 Although it’s saturated if you have a new niche or a fresh take on an old craft you can get your toe in the door. One of my old friends started a Jewelry making business when she lived in Hawaii and continues today from Oregon. After three years she gave up her work in Biology to work on her Jewelry making for her Etsy shop. 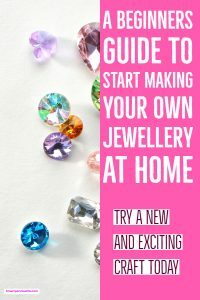 There are lots of ideas for you to start making your own jewelry at home today. Be warned guy’s it’s highly addictive! If you liked this post please feel free to share it.